A new smart home chip will enable devices to get more than ten years of battery life out of a single coin-cell battery. Announced at CES 2018, the 700-Series chip comes from Sigma Designs, the makers of the Z-Wave smart home system. The chip has a range of over 300 feet, allowing it to reach multiple floors of a home, as well as an outside yard. Sigma Designs also says the chip is made with low-cost materials that will make it easier for developers to work with the product. The company envisions the chips being used in many household sensors, such as water leak monitors. “Sigma’s Z-Wave 700-Series chip will completely reshape the meaning of smart home. 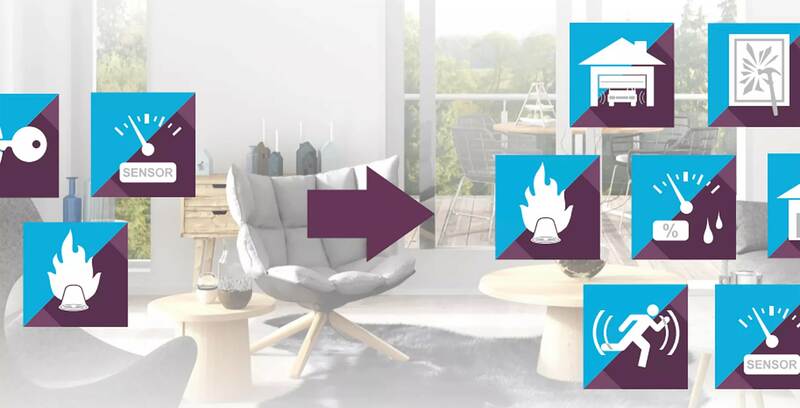 It solves for many of today’s technological barriers, while being the most flexible, interoperable platform, bringing smart home functionality to a new level,” said Raoul Wijgergangs, vice president of Sigma Designs’ Z-Wave Business Unit, in a press statement. However, the chip is currently only compatible with the Z-Wave smart home system, meaning those with the likes of Apple’s HomeKit or Amazon’s Alexa will need a hub to bridge the different systems.